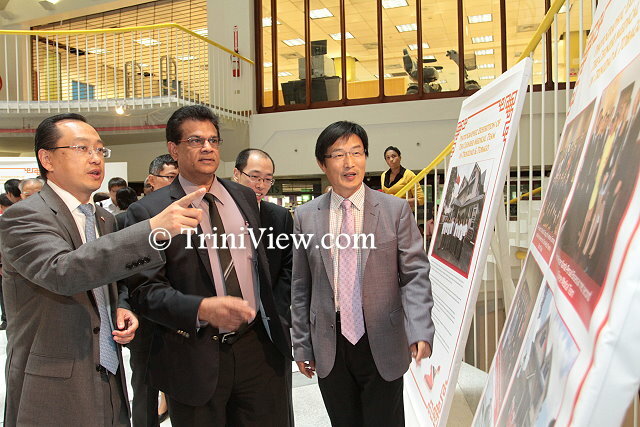 The team’s stint in the twin-island republic is the fruit of discussions between His Excellency Chinese President Xi Jinping and Prime Minister Kamla Persad-Bissessar who met during Jinping’s state visit to Trinidad and Tobago in 2013 as well as talks during Bissessar’s visit to China in 2014. 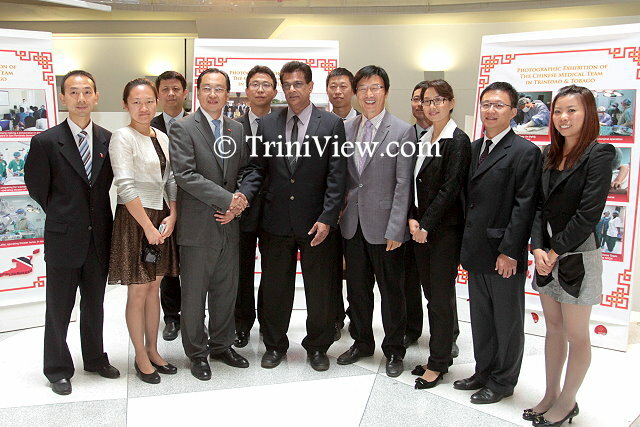 The stationing of Chinese medical specialists in Trinidad and Tobago was initiated with an aim to improve the delivery of health services in the country by treating patients as well as by providing their expertise to tertiary-level medical students in Trinidad and Tobago. 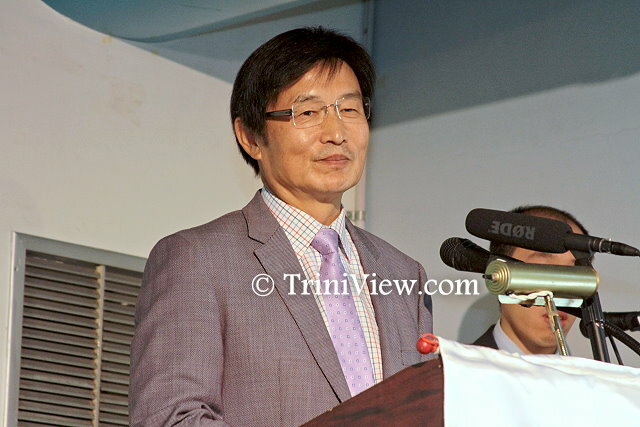 Main speakers at the launch were Ambassador of the Republic of China His Excellency Huang Xingyuan who lauded the achievements of the Trinidad and Tobago-based Chinese medical team; Deputy Executive Director (Ag.) 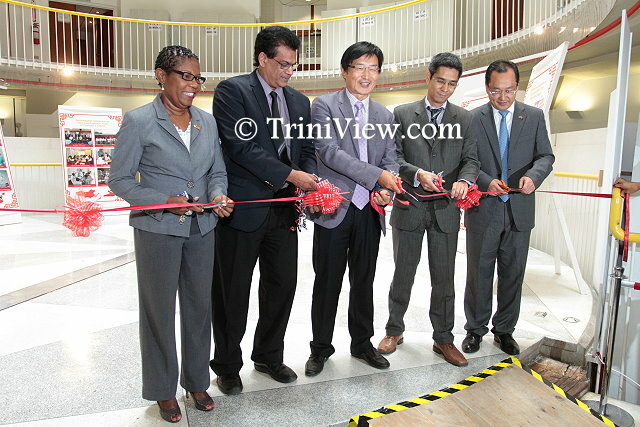 NALIS Diane Simeon who welcomed the exhibition at the library; Head of the Chinese Medical Team Dr. Jia Wong who expressed thanks for the work of the embassy, NALIS and the students; and Minister of Health Dr. Fuad Khan who praised the work of the Chinese medical team. 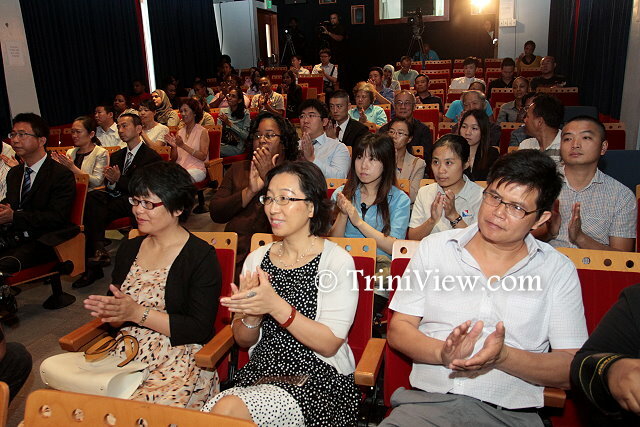 Also addressing the audience was Ms. Lan Heping, counsellor of the Chinese Embassy who emceed the formal part of the programme. 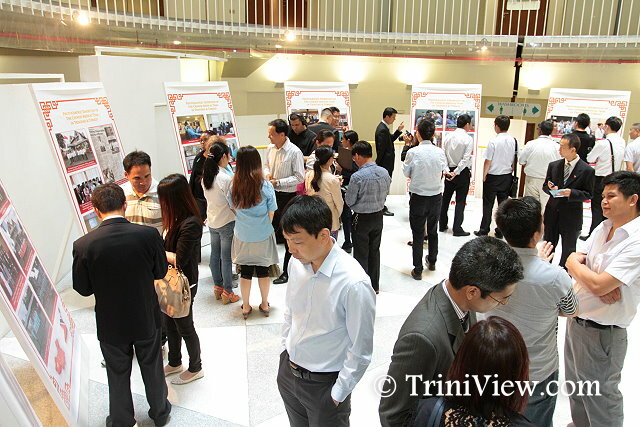 After the formalities, guests were invited to the rotunda to witness over fifty photographic pieces which showed the Chinese medical team performing their work duties, interacting with Trinbagonians on and off the job and experiencing the country including some of its cultural renderings. 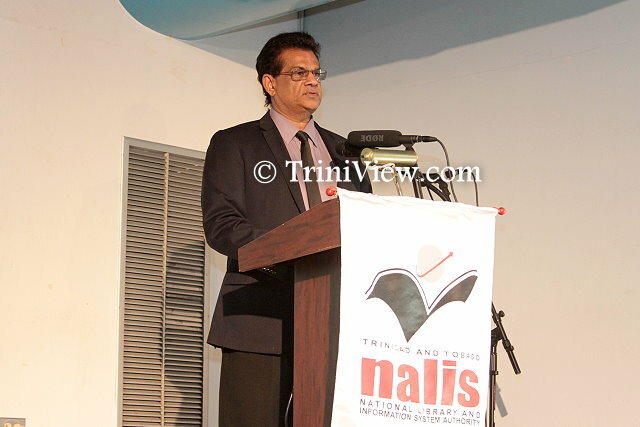 The exhibition lasted from May 8th to the 13th and was open for public viewing.